I've been asked by a bunch of forum members whether there's a way to score a discount on Battlefield 1, releasing on October 21st. 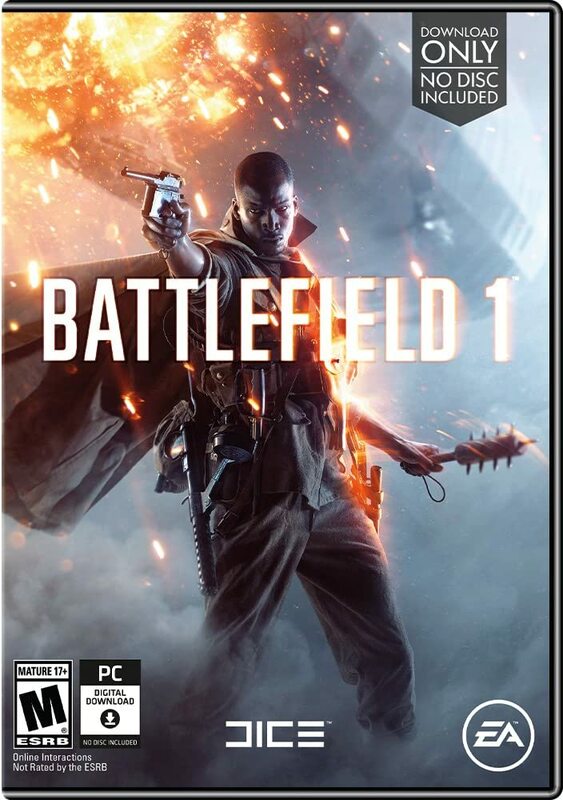 Well, now there is: for Amazon Prime subscribers only, the Battlefield 1 (No Disc Edition) is now $47.99 shipped free! Amazon offers 20% discounts on game pre-orders, but only for physical copies. Well, Battlefield 1 doesn't come on DVD, so no discount, right? Wrong! You can get the physical DVD package with nothing but a download code in it, and that qualifies for the discount!!! This is still available, folks. Our copy is on the way. When are you going to get your copy?!? There might be a comprehensive benchmarking article for BF1 in the works here at TBG. Nine different GPU configurations and five CPUs. Anyone interested in reading it?!? Got the game Friday. I've only played a little bit so far. The graphics are amazing with the great map detailing. The combat is much different than BF4, ie, you don't have to worry about choppers!! I find the gas grenades aggravating, as once you put the gas mask on, for me, it really restricts your vision, etc. It's easier to snipe in BF1 than in BF4. (not that I'm a fan of that style of play) I've only played 3 or 4 maps so far in 'Conquest' mode. I will continue to play BF4 on the 'Golmud Railway' map... my fav. My username in both games is 'Jury-Pool-Reject', but I also sometimes change it to 'AthleticAnchovy'. I'm usually on East coast servers and my ping is typically around 15-25 or so. Ok, back to the Patriots game!! Saw you today listed in a mulitiplayer map, was busy benchmarking or I would have joined you. Preparing a big article testing nine different video cards and a number of CPUs as well.